6. Rejoice in the seasonsWith our penchant for native plants that are mostly non-deciduous, Kiwi gardeners often miss out on the passage of the seasons that changing trees bring. 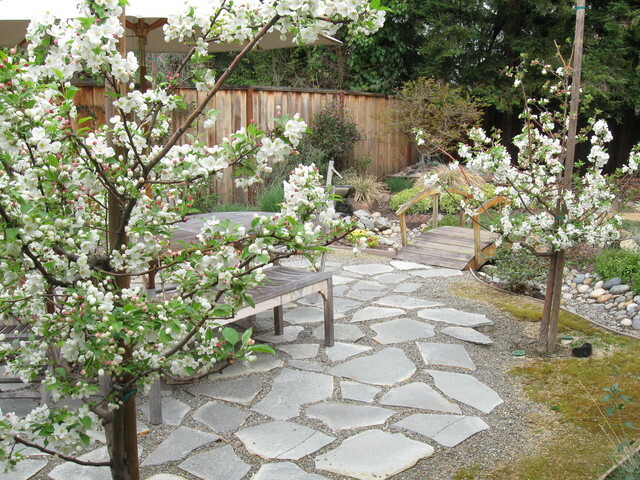 Create a courtyard around a specimen tree – flowering cherries, maples or crab apples are staples – so you can enjoy the movement through the year. Small space, interesting and large planting. No grass! Nice flagstone in DG and I like the trees too.